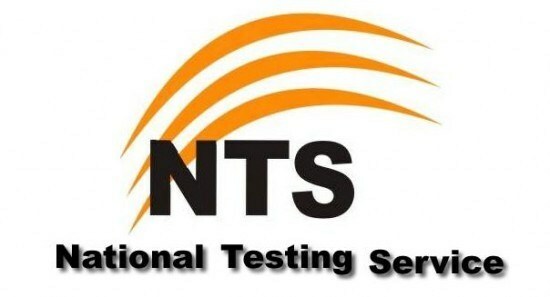 National Testing Service abbreviated as NTS. It is one of Pakistan leading testing agency which conducts tests for different jobs in Government & Private sector organizations. Besides this it also conducts various test for admission in various universities (NAT, GAT etc). Applying procedure for Jobs is quite Simple. First of all download Application Form & Deposit slip from official website www.nts.org.pk. After that deposit test fee in any online HBL, ABL, MCB or Meezan bank branch. and then send duly filled NTS Application Form & Deposit slip to National Testing Service Headquarter 1-E Street 46 Sector I-8/2 Islamabad. National Testing Service shortlists eligible candidates and then conducts a written MCQ's type Test. Within some days NTS announces results for tests which then organization uses these results as criteria for recruitment. Here we have enlisted all NTS Jobs 2019 in Pakistan on single page for our visitors convenience. All these Latest Jobs / Career Opportunities are collected from www.nts.org.pk & major Newspapers of Pakistan like Jang, Dawn, The News, Express etc. These Jobs are for Islamabad, Lahore, Karachi, Multan, Hyderabad, Peshawar, Quetta & others. Different Government & Private Companies for Punjab , Sindh, KPK, Balochistan, Azad Jammu Kashmir, Gilgit Baltistan & FATA uses Services. Popular Jobs are Educators, Banks, Health Department, Government etc. We will guide you all details , eligibility criteria, Last Date to Apply for NTS Jobs 2019, How to Apply, Age limit, Educational Qualification, Advertised Posts/ Vacancies etc.